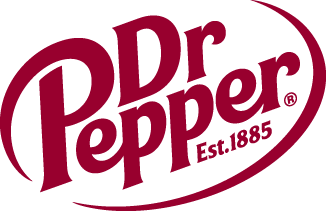 Dr Pepper Dallas Cup Names New Host Club | Dallas Cup, Inc. The Dr Pepper Dallas Cup has announced that FC Dallas Youth has become the new Host Club of the prestigious international youth soccer tournament as part of a multi-year agreement. As Host Club, FC Dallas Youth will provide the tournament with the core of its volunteer base. The Dallas Cup, celebrating its 35th anniversary in 2014, has relied heavily on volunteers from the North Texas soccer community to help grow its reputation as one of the most elite youth tournaments in the world. In all, more than 1,000 volunteers are needed each year during tournament week to ensure its smooth operation. Founded in 2005, FC Dallas Youth is the largest competitive youth soccer club in North Texas with more than 170 teams and 3,000 players in the DFW metroplex. Since 2009, more than 100 student athletes have graduated from the club and gone to universities to continue their soccer and academic careers. Over that same period, eleven home grown players have signed professional contracts with the FC Dallas first team to embark on a professional soccer career. In 2014, FC Dallas Youth will have 13 teams, representing each age group, participating in the Dr Pepper Dallas Cup. FC Dallas becomes just the third Host Club in the tournament’s history, which was founded by the original Host Club, Texas Longhorns SC, in 1980. Dr Pepper Dallas Cup XXXV will run from April 13th through April 20th, 2014. Games will be played at the historic Cotton Bowl Stadium, the Classic League Soccer Complex at Richland College, and the new Elm Fork Athletic Complex in Northwest Dallas.